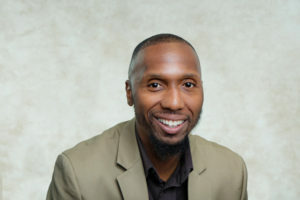 Deon L. Jones is a Certified Substance Abuse Counselor who was born and raised in Akron, Ohio. Deon left for the U.S. Navy in 1994 and completed 20 years of faithful service. Before retiring, he received his Associate’s degree in Business Administration from Grantham University and a Bachelor’s degree in Human Services from Excelsior College. Mr. Jones is currently attending Grand Canyon University pursuing his Master’s degree in Addiction Counseling and to fulfill his residency requirements for licensure in the Commonwealth of Virginia as a Licensed Professional Counselor. Mr. Jones has experience in mental health residential and outpatient treatment, Substance Abuse Treatment, co-occurring treatment from Hazelton Substance Abuse Curriculum, and training of prospective counselors both civilian and military. Previous employment has been as a NDCAS (Navy Drug and Alcohol Counselor School) trained counselor while still serving on Active Duty and at Magnum Opus Technologies while fulfilling a government contract at Portsmouth Naval Hospital at SARP (Substance Abuse Rehabilitation Program). Mr. Jones joined the Right Path Treatment Centers in December of 2015.